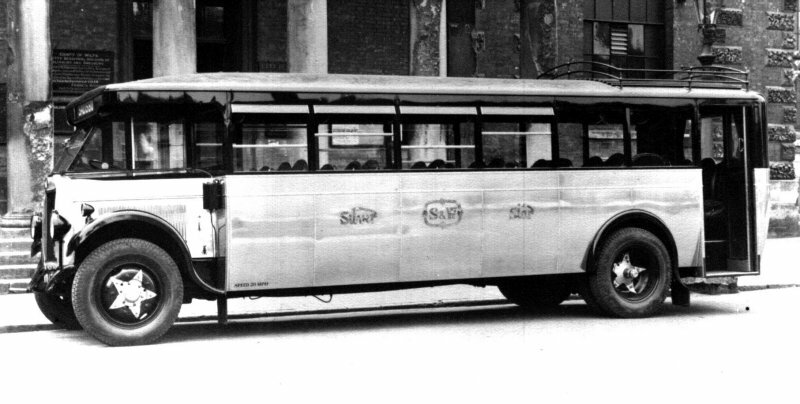 The name Silver Star is attributed to a popular waltz tune of the 1920s when two young men, Eddie Shergold and Ben White, started a bus service running along the valley of the River Bourne north east from the cathedral city of Salisbury in Wiltshire in the autumn of 1923. Shergold's father William had a horse drawn carrier business from Winterbourne Dauntsey, acquired earlier from J K Rowden. The two partner's first vehicle acquisition was a new Ford Model T (registered HR9447) with locally built 14 seat body by Pitt of Fordingbridge. Originally running on Tuesday, Thursday and Saturday, by 1927 there was daily operation including three return journeys on weekdays between Salisbury, the Winterbournes, Allington and Porton Camp. In the city direction these catered for the needs of schoolchildren and in the other for workpeople to the military establishment at Porton. The road from Salisbury along the Bourne valley was not exclusive to "the Star" as Wilts & Dorset already covered the route on their Salisbury-Tidworth service, and there were other carrier operations as well, including Lee of Winterbourne Gunner, Armstead of Newton Toney and Razey of Cholderton. Several routes into Salisbury were the scene of ongoing competition between Wilts & Dorset and independent operators, as also with Skylark from Woodfalls and Downton. Based in a garage near Porton Camp the fleet had grown to five vehicles by 1927. The silver in the fleet name was reflected in the polished aluminium bodies of some of the fleet. The fleet was already being embellished with headboards carrying the famous Silver Star emblem, with many of the vehicles also having silver stars painted on the wheels. As with so many firms that started as partnerships, one was a traffic man (Shergold) and one an engineer (White). 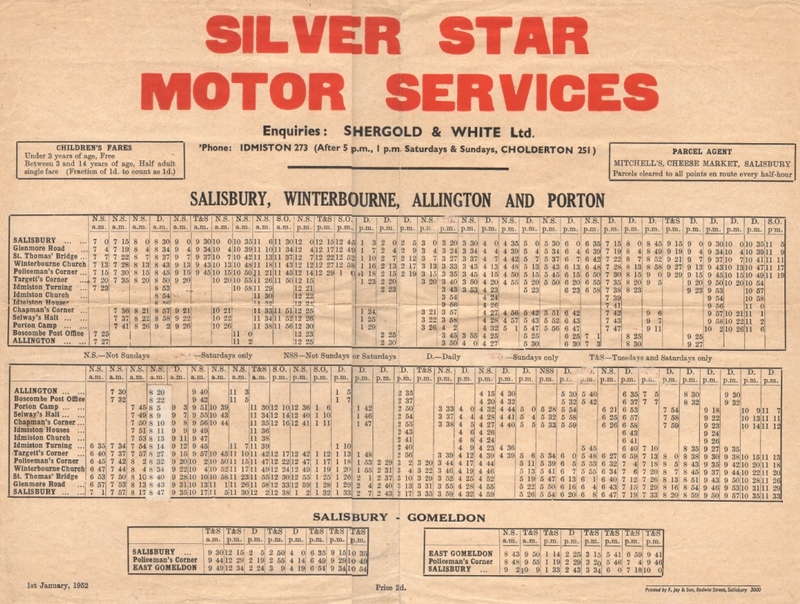 With the impending 1930 Road Traffic Act, Silver Star applied for a number of daily stage carriage services but only the routes from Allington / Porton to Salisbury and Salisbury to Sling (near Bulford Camp) were granted to them. There had been hopes that the Sling service would form the basis for a Salisbury - Bulford - Sling - Tidworth - Andover service, and one vehicle had already been so lettered for the route in anticipation, which operated briefly in 1930/31. But it was not to be as the necessary road service licence was refused by the Traffic Commissioner. An excursion licence from Porton Camp was approved at this time. 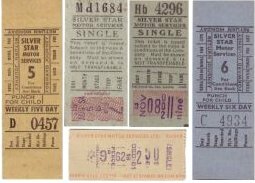 In August 1937, Silver Star sold the licence for the Salisbury to Sling service to Wilts and Dorset, who had been running along the same route since 1914, as part of their Salisbury - Andover services. A timetable from October 1930 shows seven departures from Salisbury for Porton Camp each day from Monday to Friday, thirteen on Saturday and five on Sunday. To Allington from Salisbury it was three Monday to Saturday runs and one on Sunday, plus an extra short to Winterbourne on Saturday evening. On this the Star's main route from Salisbury through the Bourne Valley there was a substantial increase in traffic because of the construction of Figsbury Barracks at Winterbourne Dauntsey. Six 1930-vintage Leyland TD1's double deckers were purchased from Yorkshire Woollen District, the fleet numbers being 169-174. Their registrations were HD4153-4158, and they became Silver Star fleet numbers 16, 20, 15, 18, 17 and 14 respectively. With the outbreak of war in 1939, several of the fleet were requisitioned by the War Department and these Titan TD1's had to cope with the heavy wartime traffic on the route. By the end of the war they were not in best shape and the first new double decker arrived in 1947. It was a Leyland Titan PD1 with Leyland 53-seat lowbridge body (fleet number 22, EAM 776), and a new single decker Leyland PS1/1 with Duple bodywork arrived later in the same year. Two of the pre-war Titans were rebodied in 1949 whilst the others were withdrawn between 1949 and 1952. Three slightly younger Titan replacements came into the fleet at this time, two from Birmingham and one from Bolton. In Salisbury the ironmongers business of Mitchell's in Cheese Market acted as parcels agents for many years. The early part of the 1950s saw a rise in demand for express coach services for the many military personnel stationed in the area in the Salisbury Plain camps, and by 1952 Silver Star had been granted express service licences to run to London from Bulford Camp, Winterbourne Camp and Porton Down. A year later more licences for services from Bulford Camp to Birmingham, Manchester and Liverpool were granted. But Silver Star were not the only operators in the area interested in this traffic and the competition for new express services was to become something of a battle, not only in the licencing courts but also on the ground in booking passengers. These were mainly weekend leave services, going out on Friday or Saturday and coming back on Sunday or Monday. Some routes were shared, some not. 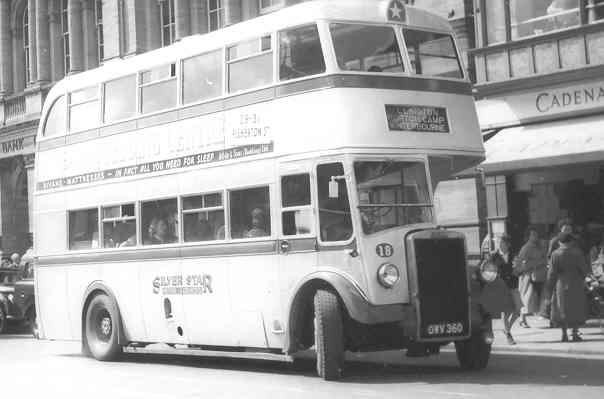 By 1955 the Star had gained more licences for routes to Newcastle, Glasgow, Edinburgh and Swansea. Whilst laying over at the distant destination point, whenever possible the coaches were hired out to other operators to maximise income. The Star were proud of their vehicles and their services and the fleet included some of the finest coaches of the time. They were equipped with heaters and radios, which were not then common features. The first underfloor-engined vehicle was obtained in 1952, a Leyland Royal Tiger with Leyland 41-seat coachwork (fleet number13, HWV793). This was followed in spring 1953 by a similar vehicle (fleet number 14, JMR736). GWV360 (fleet number 18) in Salisbury Market Square, Blue Boar Row. A Leyland PD2 56-seater acquired in 1951. And who now remembers the Cadena Cafes of Salisbury, Southampton and Bournemouth? The Cadena chain was acquired by Tesco in 1965. 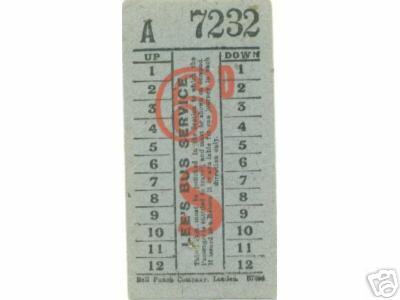 Locally a licence application for a workers express service to run directly between Salisbury's then newly built Bemerton Heath and Pauls Dene housing estates and Porton Camp was made in 1957. Despite both Wilts and Dorset and British Railways objecting, on the basis that they would lose traffic, this new service was granted. The Silver Star express service from Bemerton Heath to Porton was normally the province of the PD1 EAM776 (number 22). This was replaced by the newest vehicle Atlantean 1013MW (number 42) during 1962. Otherwise the stage services continued with little change from year to year, although by August 1957 it had became necessary to introduce some one-man operated peak journeys on the bus service. A new Tiger Cub (number 31, PHR829) came into the fleet. Further one-man operation followed in February 1958 with the addition of two further Cubs, (32 / 33, PMW386 and RAM620). At this time the ticket system was changed from Insert Setright to Setright Speed for one-man operated services. Also in November 1957 the Company's name was officially changed from the long standing Shergold and White Ltd to Silver Star Motor Services Ltd. 1959 saw the purchase of an ex-London Transport RTL double decker, built in 1949 (number 36, KGU263). Also later that year an attempt was made to introduce a co-ordinated timetable between Silver Star and Wilts and Dorset along the Bourne Valley, but with Silver Star remaining the principal operator on the route with a basic half hourly frequency. 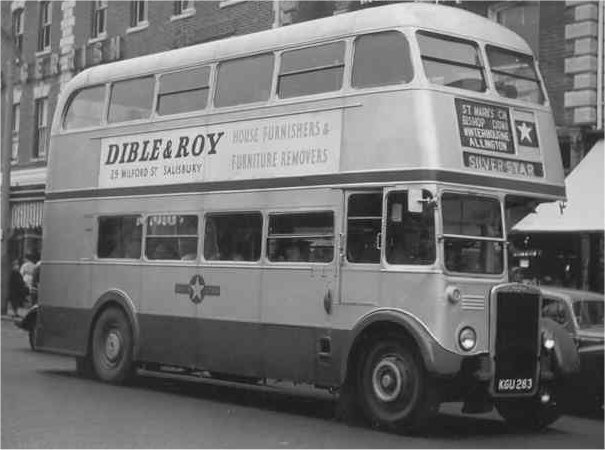 In 1959 Silver Star Motor Services became the first independent operator to put a production model of the new Leyland Atlantean into service (number 35, TMW853). One year after in 1960 the Star introduced a standard fleetname emblem, at the time of the arrival of their second Atlantean (number 37, VAM944). Before this acquisition, the fleetname had been applied in a variety of different styles, but now it was based on a circle and bar reminiscent of the London Transport logo, having the fleetname on either side of the silver star. At this time permission was applied for to operate the Leyland Atlanteans on the military express services, but permission was refused by the Traffic Commissioners. Despite this another attempt was made in 1961 to use the Atlanteans on the express services. Again this was unsuccessful. This was a major blow to the Star, as three more Atlanteans had already been ordered. One was cancelled and one was delivered in July as XMW706, fleet number 40, a 61-seater coach. The other was completed as a 73-seater bus (fleet number 42, 1013MW). On busy days one of the Atlanteans might make an appearance to help out on the stage service. At summer weekends they might venture to Bournemouth or Sandbanks on excursions. They had been ordered with the express services in mind, but by the time they were ordered the demand for the forces leave services was in decline, all the more so after the abolition of national service a few years later. One of the Atlanteans, 1013 MW, fleet number 42, entering the yard in Pennyfarthing Street, Salisbury, where a couple of buses used to sleep overnight. In October 1962, Eddie Shergold died aged 64 and this was soon seen to be the beginning of the end for the Star, as in May 1963, the surviving founding partner Ben White, indicated his intention to retire and enjoy his pension. 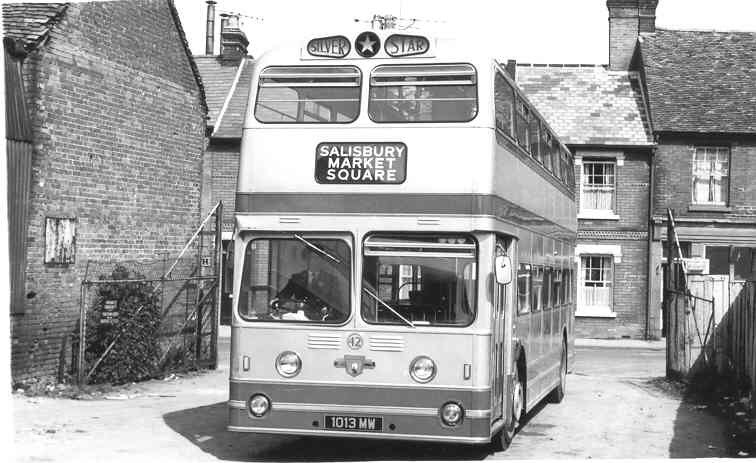 So it was arranged that the company should cease operation on the evening of Tuesday 4th June 1963, and at 10.35 pm in Salisbury Market Square the last run by Silver Star set off along the Bourne Valley, operated by fleet number 32, PMW386, a 1958 Leyland PSUC1/2 41-seater dual purpose bus/coach (see picture below). Driven by Stanley Coleman, it arrived at the depot at Porton Down thirty minutes later, bringing operations to a close. A purchase price of £65,000 was paid for twenty three vehicles and Wilts and Dorset assumed operation of the bus and express coach routes, which were co-ordinated with their existing bus services along the Bourne Valley. 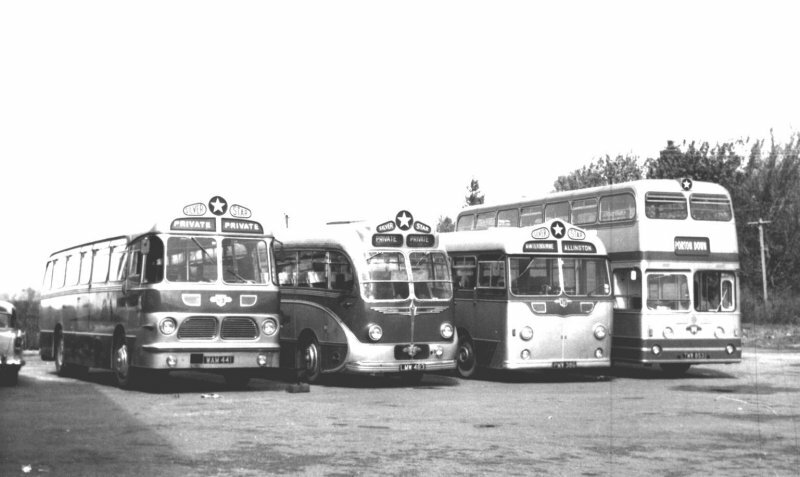 Many of the Silver Star vehicles were dispersed to a variety of other operators whilst several of the Silver Star one man operated buses were retained on their usual routes for a while. Happily a few Silver Star vehicles have survived in preservation, including their newest vehicle, Atlantean number 42 - 1013 MW - which is often seen at rallies (it was at the King Alfred running day in Winchester on 1st January 2012, where the Setright ticket below was issued). 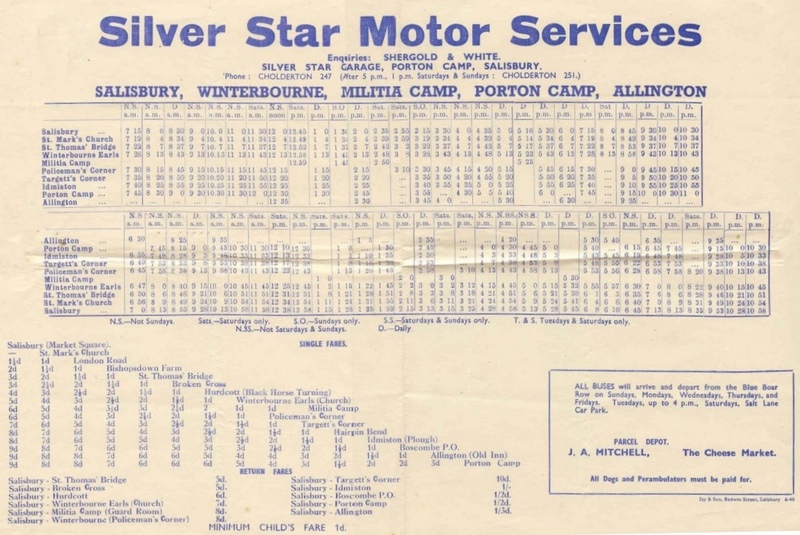 Over the years Silver Star tended to favour poster-sized timetables. Below are two examples from 1946 and 1953. The route - coming down from Porton Camp the Silver Star buses turned right at Chapman's Corner in the centre of the village of Porton then proceeded past Idmiston Houses and Idmiston Church (narrow roads!) to Idmiston Turning ('Hairpin Bend' in the fare chart above, which was a very tight left hand turn onto the A338 towards Salisbury) and was also the point where the buses from Allington via Boscombe joined the route. Then past Targett's Corner on the hill above Porton village, followed by a left turn to then bear right at Policeman's Corner in Winterbourne Gunner (where the road towards Gomeldon branched off), down through Winterbourne Dauntsey to Winterbourne Church in Winterbourne Earls. Following the A338 southwards past Hurdcott to St Thomas Bridge, turning right onto the A30 to go under the rail bridge, up past Glenmore Road (crossing over the rail line this time) to St Marks Church and down Bedwin Street into the centre of Salisbury. As a postscript, at the time of bus deregulation in 1986, Tidworth Coaches introduced a route from Tidworth through Allington and the Bourne Valley villages to Salisbury. This ran a few times a day and was short lived, but the service was operated under the fleet name Tidworth Silver Star. (Sidney C Shergold, the original founder of Tidworth Coaches, was the brother of Eddie Shergold of Silver Star. Sidney was running a bus four days a week between Tidworth - Winterbourne - Salisbury under the Allington Queen Motors name from 1925 until sold to Wilts & Dorset in March 1932. To a degree he might be thought to have been competing with his brother Eddie, but buses were small with few seats in those days). The 1980s Tidworth Coaches operation continued to compete with Wilts and Dorset on other routes for some time, and in the summer of 1990 there was both a city route between Salisbury and Bemerton Heath (service 51) and country route 2 between Salisbury and Devizes. There were also contracted routes for Hampshire County Council between Winchester, Houghton, Littledown and Stockbridge (service 91) from 1986 to 1990. All this is now but a memory, as are Tidworth Coaches themselves. A reunion of Silver Star staff was held in Salisbury in June 2013 to mark the 50th anniversaryof the demise of the firm.